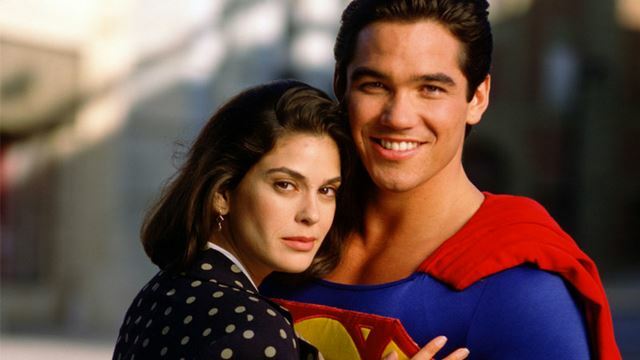 To commemorate the 25h anniversary of Lois & Clark: The New Adventures of Superman, series stars Dean Cain and Teri Hatcher reunited for a panel at New York Comic-Con. According to The Hollywood Reporter, a fan at the panel broached the subject of possibly reprising their roles in The CW’s Arrowverse. Both Hatcher and Cain responded positively to the idea. The original series aired on ABC for four seasons from 1993-1997 and it primarily focused on the romantic relationship between the title characters. It largely eschewed appearances from Superman‘s rogues gallery, aside from Lex Luthor and a few others. Its last season ended on a cliffhanger with a baby mysteriously showing up in the onscreen couple’s home. Hatcher and Cain said that this presents multiple opportunities for a full-on revival. Cain and Hatcher aren’t strangers to revisiting the Superman universe. Most recently, they both had recurring roles on Supergirl, with Cain playing Jeremiah Danvers and Hatcher playing Rhea. They also guest-starred on separate episodes of Smallville in 2007 and 2010, respectively. Would you be open to a Lois & Clark revival? What direction would you have the series take? Share your thoughts in the comments below!